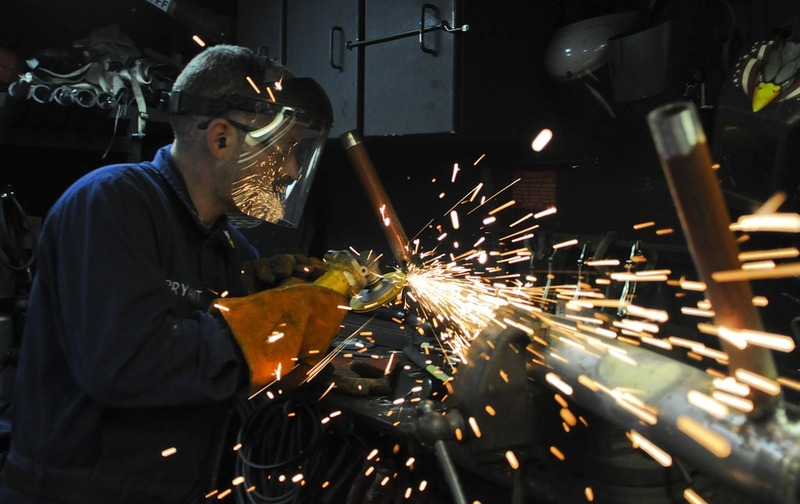 Precision machining is one of many manufacturing processes used within the United States. It involves taking a larger piece of material and cutting off the excess to craft a smaller piece that serves a purpose. Many different types of machinery can be used in precision machining, each with their own benefits and costs. As with other industries, precision machining constantly evolves as advances in technology occur. Choosing to work with a skilled precision machining provider allows companies to utilize the latest advances in this industry, achieving the best possible results. Using a skilled provider delivers access to the latest innovations, such as incorporation of IoT and advancements in precision that deliver superb results. Overview of Precision Machining in the U.S.
To deliver an overview of the current state of precision machining in the U.S., consider some key statistics. There are currently 1,267 companies in the industry, with 25,925 jobs. The current sales in the industry are $10.4 billion. The U.S. region with the highest percentage of precision machining companies is the Midwest, followed by the South, Northeast and West. With that information in mind, let's explore the various types of precision machining. Precision milling is among the most common processes within CNC machining due to its highly versatile nature. During milling, the manufacturer removes material using a rotating cutting tool. With turning, the workpiece will rotate during the process, but this is not necessary with milling. Milling of this type tends to be more expensive than some other production methods, and the equipment requires a high level of maintenance. Even so, the precision associated with milling and turning makes it highly sought after, as does the ability to repeat the production of components to the same specifications. Related: Top precision milling and turning companies in the U.S.
Milling is also very quick and can integrate CAD systems. Other advantages of milling and turning include the need for less-skilled staff and the way in which these techniques can be updated with advancing technology. JC Milling Co. Inc. specializes in precision milling and turning and is located in Machesney Park, Illinois. This company works with industrial machinery, machine tools, metal cutting, dies, tools, jigs and patterns. Another important player in this type of precision machining is Jurman Metrics Inc., located in Monroe, Connecticut. In addition to precision milling and turning, this company offers prototype machining. Click here to see a full list of precision milling and turning suppliers on IndustryNet. Electrical discharge machining, frequently abbreviated as EDM, is considered a type of precision machining that is not traditional. With this method, manufacturers use thermal energy to remove material from the workpiece in question. Because EDM uses thermal energy, it does not require any mechanical force, hence its classification as nontraditional. There are three different types of EDM, including sinker, wire and hole-drilling EDM. Die-sinking EDM goes by several names and allows for the production of complex shapes using electrodes, which are pre-machined into a shape. Wire EDM uses a thin wire to cut the piece, with the wire functioning as the electrode. Hole-drilling EDM is used specifically for drilling holes and allows for extremely deep and small holes, particularly in comparison to traditional drilling methods. EDM is incredibly popular for producing molds and tools due to its versatility and the range of materials that it can work with. It is possible to use electrical discharge machining on hard materials such as titanium. Read more: What's new in electrical discharge machining? EDM also offers the advantage of working with complex shapes, something that can be challenging with more traditional methods such as milling. Furthermore, electrical discharge machining can be used with smaller workpieces, including those that traditional cutting tools would damage. With EDM, you can also align the surface finish with the machining process. To counter those advantages, die sinking takes additional time to create the electrode tools. That extra time can also result in higher costs. Compared to other precision machining methods, EDM can also lead to higher energy consumption due to the continual creation of electrical currents. Additionally, while EDM works with a range of materials, those materials must be conductive. The process can also be more time-consuming than some other methods. 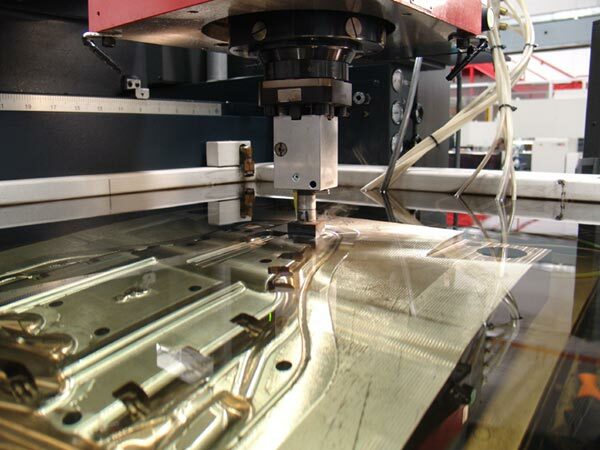 Swiss EDM Wirecut Inc. is in Prospect Heights, Illinois, and specializes in electrical discharge machining as well as wire EDM and small hole drilling. Braneva Precision Ltd. is in Warminster, Pennsylvania, with a focus on EDM, including wire and drilling EDM. 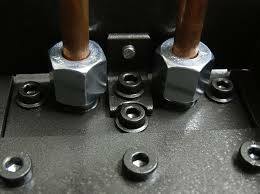 Screw machine products are constructed from bars made up of raw materials. There are numerous applications for these products, and they can include pinions, gears and shafts. Screw machine products can be made of steel, stainless steel, bronze, plastic, brass, and aluminum. Despite the name, screw machine products do not involve screwing items into place or creating screws. Production involves spinning the products on rotating lathes that shave down the metal until the product is the desired shape and size. Screw machines use disc cams that convert rotary motion to linear motion, or in the other order. Related: Fastest-growing screw machine products manufacturers in the U.S. In most cases, screw machines do bar work, with the full bar stock passing through then turning along with the spindle. Compared to other precision machining methods, screw machine products tend to be cheaper to produce, particularly in large quantities. 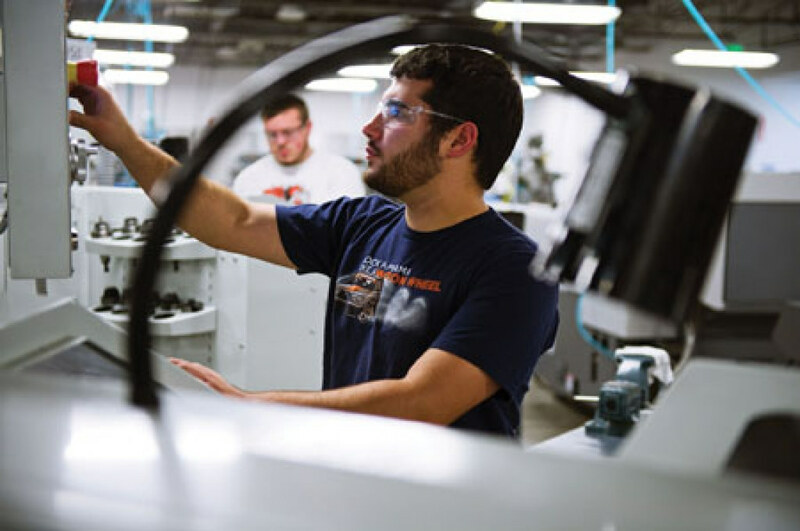 Swiss Automation Inc. in Barrington, Illinois, specializes in precision contract machining with complex parts and tight tolerance. This company works with carbon, leaded alloy, stainless steel, brass and aluminum. Michaels Machine Co. Inc. in Racine, Wisconsin, has a focus on screw machine products, specifically high precision, Swiss, and CNC products along with centerless grinding. Precision tools are used in a vast range of industries, from airplanes to automobiles to defense to medical applications. Precision tooling will likely continue to grow in the coming years, according to various forecasts. Precision tools enhance accuracy during the machining of products. The technology allows for the manufacturing of highly accurate and higher-quality equipment. Precision tooling includes multiple types of tools, such as boring and drilling machines, grinding, milling and gear cutters, among others. 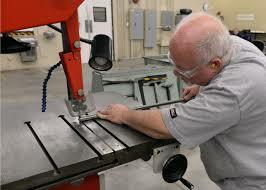 As such, there are numerous companies in the U.S. dedicated to precision tools and tooling. Read more: The largest precision tooling companies in the U.S.
One disadvantage of precision tooling is that the room where the manufacturing takes place must have a constant temperature. The rotating portions of the various tools must also have a dynamic balance. This latter requirement eliminates vibrations, particularly those occurring at frequencies with high spindle rotations. This subset of precision machining is incredibly popular due to the accuracy and variety of tools used. There are manufacturers of all sizes, from large to small, within precision tooling. Amera-Seiki Corp. in Houston, Texas, specializes in used as well as new CNC machine tools. Monarch Tool & Die Co. in Elmhurst, Illinois, has a focus on precision tooling as well as dies. Click here to see a full list of precision tool and tooling suppliers on IndustryNet, including those specializing in precision machine tools, precision tooling and CNC machine tools. Precision grinding is a process that makes it possible to finish or fabricate metal parts that have very close tolerances. It can include surface grinding, which is sometimes called Mattison or Blanchard grinding, or cylindrical grinding. In either case, precision grinding involves a spinning wheel that is created with bonded abrasive particles. Via the grinding process, the abrasive particles will remove material from the piece in question, until that piece meets the desired specifications. Precision grinding is more common for molds and dies, machine components, shafts, pistons and cylinders while Blanchard grinding is more common for larger stampings and castings or forgings. The technician will choose the appropriate grinding method depending on the holding requirements and specifications. Precision grinding is used to produce components for various industries, including tiny metal parts like those in the majority of modern electronics. This method is also commonly used for larger parts with tight tolerances, such as aerospace and medical applications. Precision grinding tends to be more precise and cost-effective than other methods. Most alternatives lack either the cost-effectiveness or precision of this type of grinding, such as with boring and sawing or laser cutting, respectively. Because of this, there are many cases where precision grinding will be the best option for precision machining. As with all other techniques, there are also some disadvantages to precision grinding. As the cutting edge of the grinding machinery wears down over time, the precision will decrease. This means that eventually, manufacturers must fully replace the cutting edge, which requires downtime. That being said, grinding tools do tend to last longer before requiring replacements than other precision tools. Grind Lap Services Inc. in Addison, Illinois, specializes in precision grinding as well as Blanchard grinding, precision flat lapping, ID grinding, CNC OD grinding, double-disc grinding and honing. This company works with ceramic, stainless steel, steel, plastic and aluminum. Minnesota Grinding Inc. in Minneapolis, Minnesota, is another precision grinding company. It has been in operation since 1959. Click here to see a full listing of companies that provide precision grinding services. Waterjet cutting is considered among the most versatile methods of cutting shapes. It allows for a high degree of precision on nearly any material, and you can even combine it with oxy-fuel or plasma on the same part. Waterjet cutting is known for its versatility because it can cut nearly any materials, with the exception of those that are very brittle. This means it cannot be used on certain ceramics and tempered glass. The process of waterjet cutting utilizes a water stream with ultra-high pressure to carry a grit that is abrasive. This abrasive completes the actual cutting action, using a mechanical sawing action that results in a precise and smooth cut. One of the biggest advantages of waterjet cutting is its precision as the kerf width is incredibly narrow. This leads to the production of high tolerance parts since fine contours can be cut. On the other hand, waterjet cutting is slow as well as expensive. This is particularly true when compared with options like plasma for most metals. 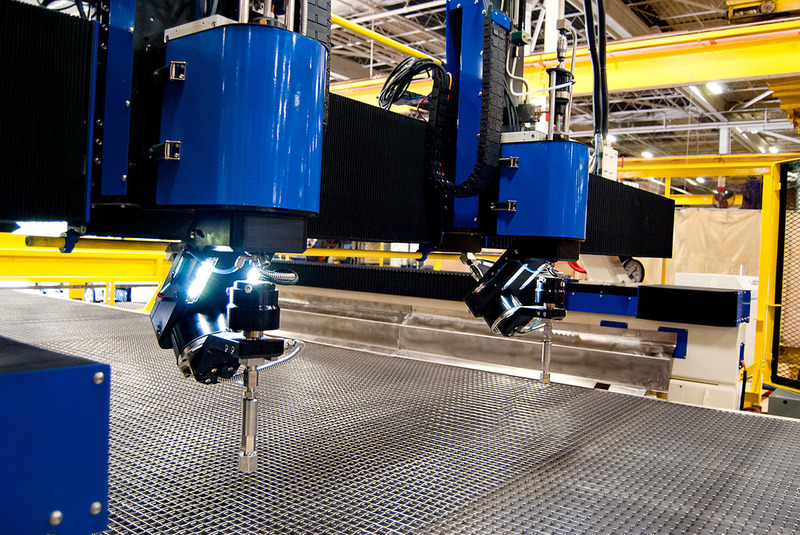 Unlike other methods, however, waterjet cutting is more affordable. That is the case in terms of cost per hour. Related: Top 11 waterjet cutting companies in the U.S.
Additionally, waterjet cutting does not require any heat or chemicals. This minimizes the risk of issues like distortion or warping of the material or hardening of it, all of which could occur with plasma, laser or other machining methods of cutting. Waterjet cutting is also incredibly precise and versatile. Despite its advantages, waterjet cutting is not ideal for cutting to a particular depth since doing so with this method will be inaccurate. It can be used to cut through a material completely or in cases like engraving when depth does not matter. There are also some limitations in terms of the hole size and the fact that an occasional indentation will appear where the water stream enters or leaves the machined product. Aerojet LLC in Minneapolis, Minnesota, prides itself on precision cuts for any application and with quick turnaround time. Armortex in Schertz, TX, offers waterjet cutting services for a range of materials, including stainless steel and aluminum as well as abrasive and 5-axis methods. Click here to see a full listing of companies that provide waterjet cutting services, including abrasive waterjet cutting services and waterjet cutting equipment. IndustryNet is an excellent resource for buyers to research local suppliers in precision machining. It is possible to search the database by products, services, company names and brand names. For every local supplier, the database lists crucial information, including the address, phone number, website, as well as photo and video libraries, company catalogs, social media links, and more. It is the most comprehensive resource to research potential industrial suppliers available today. Related Companies: Aerojet, LLC, Amera-Seiki Corporation, Armortex, Braneva Precision, Ltd., Grind Lap Services, Inc., JC Milling Co., Inc., Jurman Metrics, Inc., Michaels Machine Co., Inc., Minnesota Grinding, Inc., Monarch Tool & Die Co., Swiss Automation, Inc., Swiss EDM Wirecut, Inc.